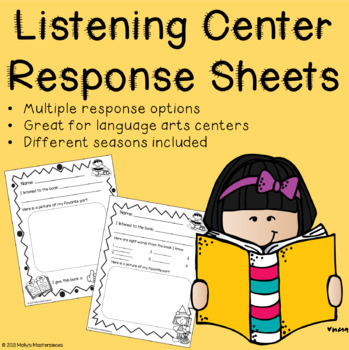 This pack includes 14 different response sheets for the listening center in language arts centers! 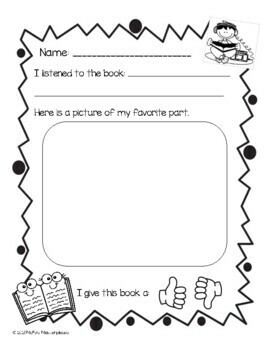 There is a variety of response pages depending on the time of year or grade level. 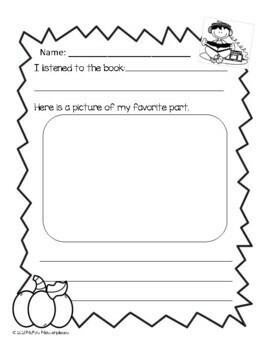 Varieties include drawing a picture, finding sight words, and/or writing a sentence. 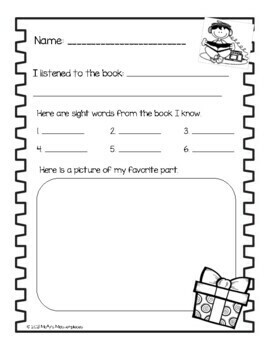 Some pages are geared towards holidays (Halloween, Christmas, St. Patrick's Day, Earth Day) or different seasons (Fall, Winter, Spring). If you reference this product, please link back to my store. If you wouldn’t mind, please leave a rating and review in my store. Thank you! I hope you enjoy this product!